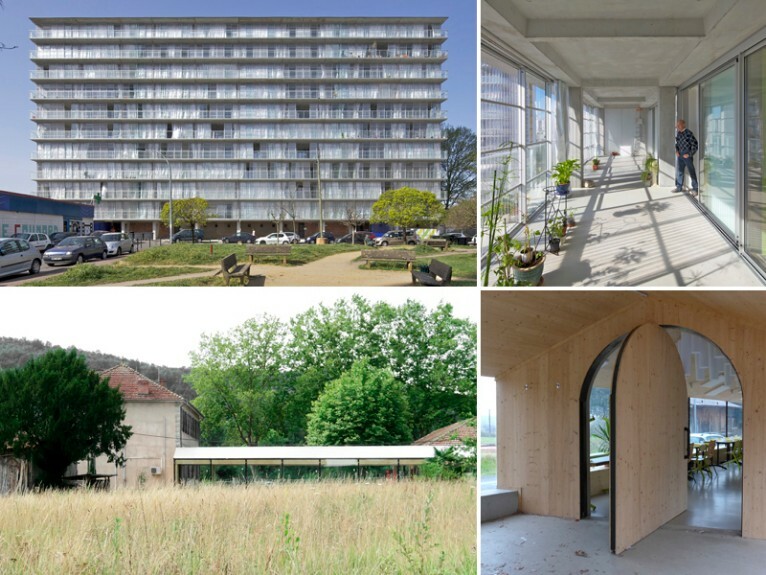 The European Commission and the Fundació Mies van der Rohe have announced the Winners of the European Union Prize for Contemporary Architecture – Mies van der Rohe Award 2019. 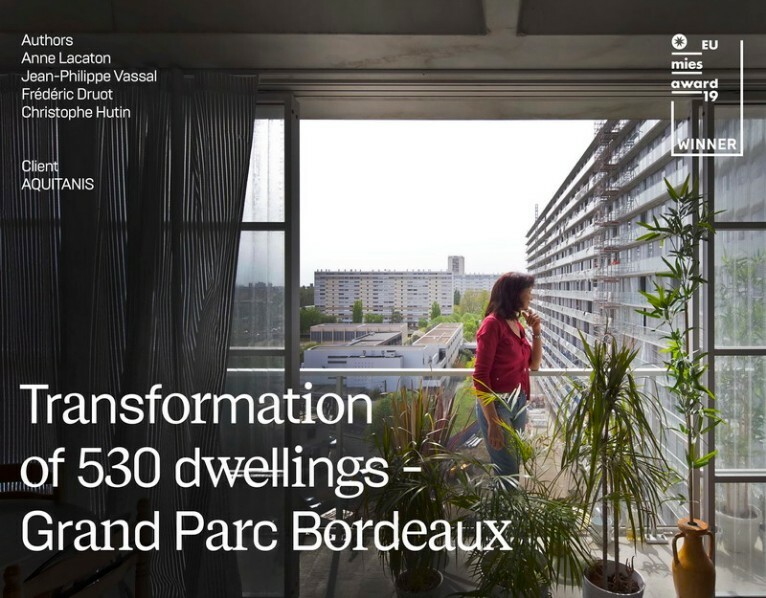 The Transformation of 530 dwellings - Grand Parc Bordeaux by Lacaton & Vassal architectes, Frédéric Druot Architecture and Christophe Hutin Architecture is the 2019 Winner of the Prize. The client is AQUITANIS, home public office of Bordeaux Métropole. The work is an innovative renovation of three huge apartment buildings in Bordeaux, that gives to all dwellings new qualities of space and living, by inventorying very precisely the existing qualities that should be preserved, and what is missing that must be supplemented. The transformation of each unit cost 50.000€ (excluding VAT) and it has not increased the rent of the former tenants who did not need to move out of their apartments during the construction works. 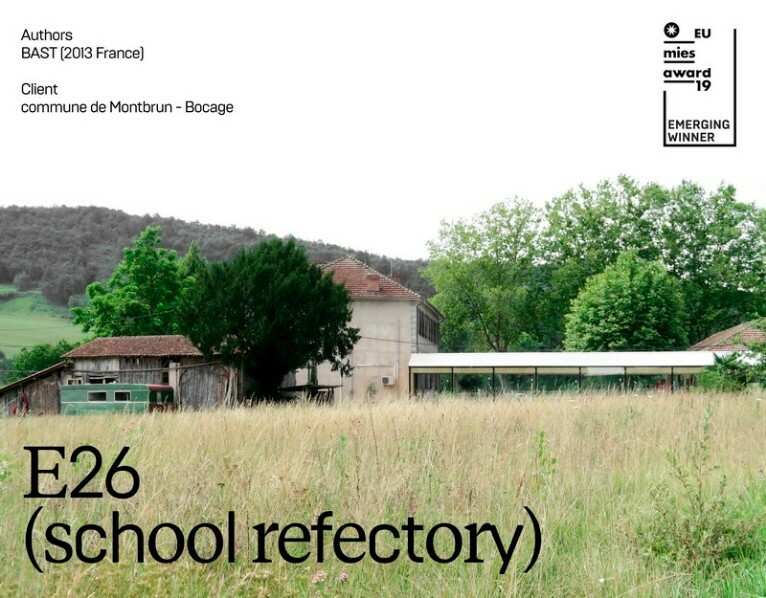 The 2019 Emerging Architecture prize has been awarded to the Toulouse studio BAST | Bureau Architectures Sans Titre for the E26 - School Refectory in Montbrun-Bocage, Haute-Garonne, near the French Pyrenees. The client is the commune of Montbrun-Bocage. The canteen is the extension of the existing school for 61 pupils that physically but not visually fences the courtyard. The jury visited six works of architecture that represent a new agenda for architecture today. We come from a long period of uncertainty which is now transforming into optimism and generosity, and that awakens an attitude that embraces risk both from the side of the clients and of the architects. The finalists delivered extraordinary and engaging buildings and spaces in complex conditions, making the jury’s choice very difficult. After five hours of a strongly constructive debate, the decision was taken democratically and also with the conviction that, after visiting all the works, they would all have been worthy winners. The jury was drawn by the extremely precise implementation and design decisions which make the refectory a remarkable project built on a relatively small budget. The work was done with extreme humbleness, taking into account the context of the village and the immediate landscape, thereby creating a very respectful work of architecture. The winners will be celebrated at the EU Mies Award Day on May 7 in Barcelona.